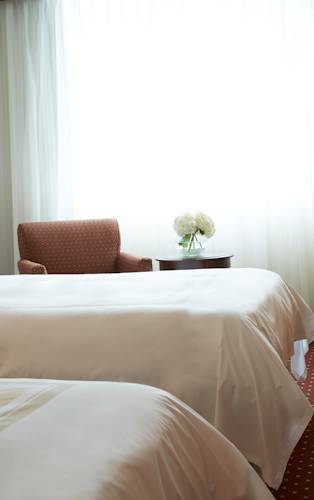 The superior quality and location of our Newly Renovated Birmingham hotel will make every trip a pleasure. Centrally located off I-459 and highway 280 and near the Summit outdoor plaza, we offer a complimentary shuttle service to local businesses and restaurants within a two mile radius. If it's family fun you want, Alabama Adventure Amusement Park and the Robert Trent Jones Golf Trail are just minutes away, and our indoor pool is great for splashing with the kids. At the center of our hotel is the Marriott Greatroom; flexible seating and spaces with a contemporary style and design, a coffee bar proudly serving Starbucks coffee, and a chef-crafted menu of small plates and pours. Newly renovated guest rooms feature ultra comfortable bedding, flat screen LCD HDTVs, and ergonomic work spaces. For your important meeting or special occasion, our state-of-the-art event facilities, custom catering and certified wedding planner are perfect for a flawless event. Marre & Allen: Marre & Allen features small plates with unique flavors that appeal to a wide array of tastes, perfect to enjoy with your favorite beverage. The menu also includes a variety of great steaks, fresh seafood, soups, salads, desserts, and more. Mercedes Benz Factory & Visitor Ctr.